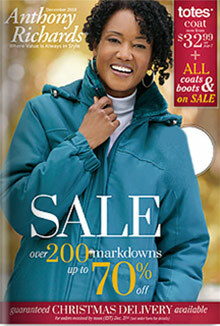 Find a stylish and budget friendly selection of women's apparel featuring Alfred Dunner tops and bottoms, dresses, pants, sportswear, and more casual women's styles from the Anthony Richards catalog, part of the AmeriMark family of catalogs. Dresses & Skirts - Explore the Anthony Richards clothing collections for women, featuring easy to wear dresses that will serve you day or night. Shop a breezy collection of day dresses to wear out and about or while lounging around the house. You'll also find work-ready and special occasion jacket dresses that will add elegance to your wardrobe, without the hefty price tag. Stock up on A-line skirts and skirt sets, pretty pleated, pencil, printed and patterned skirts that range from long to short, knee skimming and mid-length styles. Pants & Pant sets - Whether you're dressing up or dressing down, you'll always find the perfect pair of pants with versatile styles by Alfred Dunner. Browse an all-purpose selection that includes classic pull on pants, jeans, leggings, flat and zip front pants, dress pants, culottes and capris available in sizes petite to extra large, sizes 6 to 26. Make it a set with two and three piece pant sets that take the guesswork out of getting dressed every morning. You'll find Capri sets, casual and dressier pant sets and wardrobers that are ideal for the office. Tops, Sweaters & Outerwear - The Anthony Richards clothing catalog has your upper half covered, with fashionable tops to supplement your wardrobe all through the seasons. You'll find pretty button down blouses, tunics and knit tops, polos, shells, tank tops and tee shirts available in a variety of flattering styles, sizes and silhouettes. Cozy up in embroidered, textured and solid knit sweaters, cardigans, capes, coats, sweater vests, jackets and outerwear styles you'll want to wear all winter long. Sportswear & Swimwear - Work out or go for a leisurely stroll in move with you microfiber jogging suits, warm weather rompers, walking shorts, lounge sets and short sets that are versatile, comfortable, and easy enough to wear everyday. Make a splash with stylish one and two-piece swimsuits and swim dresses in an assortment of solid colors and vibrant patterns. The Anthony Richards catalog merges style with savings, delivering casual women's looks as well as dressier styles, effortless pant and skirt sets, sportswear, and more fashionable ladies apparel, at everyday low prices.